Berrima District Veterinary Hospital provides modern, professional and affordable health care for your pets. We aim to make your pet feel at ease in our hospital with a caring and gentle approach to treatment and consultations. Veterinarian Ken Davidson and his wife & Practice Manager, Kerry, together with our qualified and experienced vet nurses, Erin and Alice, are all passionate about pets and avid animal lovers. At our veterinary hospital, you will be fully supported with sound advice first and foremost. We know that helping our clients starts with providing a good understanding of health care issues and treatment options. With good advice and professional recommendations, you will be well equipped to make the best ongoing health care decisions for your pet. With fully equipped examination rooms & surgery, diagnostic equipment including in-house laboratory and pharmaceutical stores, we provide on-the-spot assistance for nearly all pet health and medical needs. CLICK HERE TO SEE A GUIDED TOUR OF OUR HOSPITAL. CLICK HERE TO VIEW OUR VET ARTICLE-OF-THE-MONTH. CLICK HERE TO VIEW OUR VET MUSEUM ITEM-OF-THE-MONTH. The ARGYLE BOARDING CATTERY was established in 1986. Click on the link for more details about the cattery. We also offer you a convenient CLIP, BATH and GROOMING SERVICE here at the hospital. Click on the link for more details. We also offer you the latest technology in dental equipment, to ensure that we can help treat your pets' dental disease in the best possible way. CLICK HERE TO SEE OUR DENTAL FACILITIES. So take a moment to meet our team and our own pets. We look forward to seeing you and your pet again at the next scheduled visit. 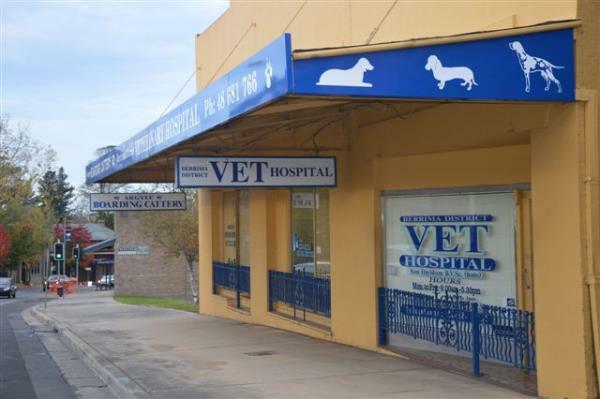 Berrima District Veterinary Hospital has been an integral part of the Moss Vale local community for years. In that time, we have helped thousands of our clients' cats & dogs, pocket pets and birds. 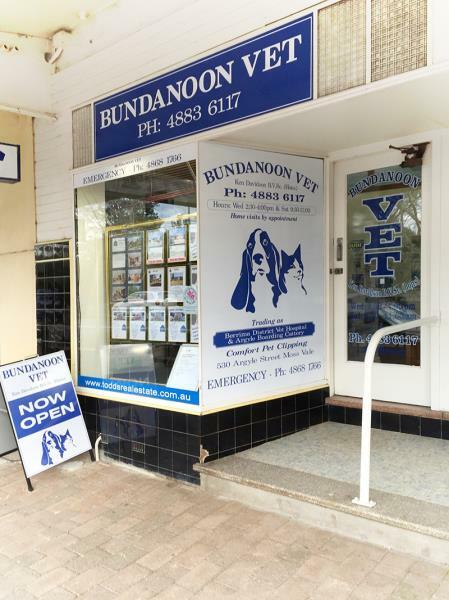 Bundanoon Veterinary Clinic was started in the early 1980's to provide a vet outpatient clinic for the residents of Bundanoon, many of whom were elderly. It has since grown in popularity, saving owners from going into Moss Vale with their pets for routine procedures. Please call us to make an appointment and Dr. Ken Davidson would be very happy to see you. Hospital will be closed on public holidays, however please ring us on (02) 4868 1766 for assistance with any emergencies during these periods. There will always be a veterinarian on duty for after-hours emergencies.